Beyond asana practice. Why and how to start Pranayama practice. I remember myself as a novice in yoga practices. The hunger I had for devouring books and the curiosity towards my teachers, make me laugh now. I wondered then: can my teachers do this posture or that; can they hold their breath for 2 minutes; do they feel content most of the time; do they feel really at peace; have they been enlightened 😊?… Now I am smiling every time new yogis innocently ask me similar questions. It is inspiring to witness the sharp minds, bright eyes, healthy and mobile bodies of those, who have been on the path of yoga for decades. But, at the end of the day, the quest of yoga is personal and it’s up to me, my practice, my self-inquiry, to find that inner space of peace, unity and contentment, and why not maintaining a healthy and vibrant body? This little article is for those of you, who would like to start pranayama practice, but don’t know how. There are hundreds of books available nowadays. 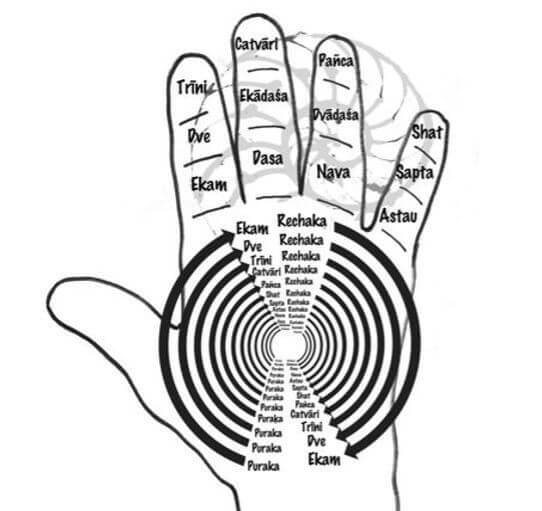 I read quite a few, but my personal practice is based on the book of Gregor Maehle “Pranayama. The breath of yoga”. Gregor is a true researcher, a scientist and a life-long yogi. He has explored pranayama in many ancient and modern texts, as well as on his own self. He made a brilliant compilation of the basic pranayama and kriya practices and my humble essay is based on his advice, as well as my own practice. First, if you wonder what pranayama is, – in Sanskrit it means extension of life force, where breath is the outer layer, or the gross manifestation of the prana (life force). In Ashtanga yoga (8 limb yoga), the 3rd limb, asana (posture), is a gross, external limb of practice. The 5th limb, pratyahara (sense withdrawal), is a more subtle, internal limb. Pranayama, being the 4th limb, is a pivotal turning point of our practice from gross to subtle, connecting asana to the next evolutionary stages of yoga. Second, if you wonder why you should practise pranayama, Gregor Maehle has produced a very convincing list. Practice of pranayama can balance the workings of our left and right brain hemispheres; it can harmonise our intuitive and analytical intelligence. Pranayama helps in balancing the actions of the sympathetic and parasympathetic nervous systems (fight/flight reflex and rest/relaxation). It can also balance the male and female, solar and lunar aspects of our being, as well as create a healthier interconnection between extrovert and introvert features of our psychology. Moreover, the “father of the modern yoga”, T.Krishnamacharya, assigned the most important power for the spiritual development and health, not to asana, but to pranayama. And ancient scriptures in unison agree, that pranayama can cure and prevent diseases and restore the balance of body and mind. If you are not convinced, please read Gregor’s book. If you are and would like to practise pranayama, all you need is your will, 10 min a day and your nose 😊. Apparently, the switch to balancing major aspects of our being exists and “it is not at all hidden. It is the prominently protruding olfactory orifice right in the middle of your face: your nose”. (Gregor Maehle). Doesn’t it make you laugh? Well, it is proven by thousands of years and thousands of yogis, and referring you again to Gregor’s excellent book. For us, pranayama beginners, I’d just say that when we learn to breathe freely and switch from the right to the left nostrils without having an obstructed air flow, our mastery over all above, and so much beyond, can become possible. Sit in Padmasana (Lotus) or Virasana. If you cannot yet, find a steady position where you can sit for at least 10 min with the straight spine, lifted chest, relaxed shoulders, hands with the palms facing up and eyes gently closed. Observe the natural flow of your breath. Notice natural pauses between each breath cycle. Make the ratio 1:1, so if your inhale is 10, make your exhale 10 and try not to change the ratio during the practice. The next steps will be in the next essay.